What brings your team to life? Which factors provide energy and motivation? What are the strengths that make your group excel? This unique team excellence coaching process sparks your team creativity to co-create an outstanding future, a clear vision and a sound strategy. Together as a team, you will ensure tht you reach your goals and enjoy every single minute on the way. Discover your team's unique success factors. Develop a vibrant vision for your team. Revive fun and outstanding collaboration. Spark creativity, innovation, and productivity. True motivation, maximized collaboration, great fun! 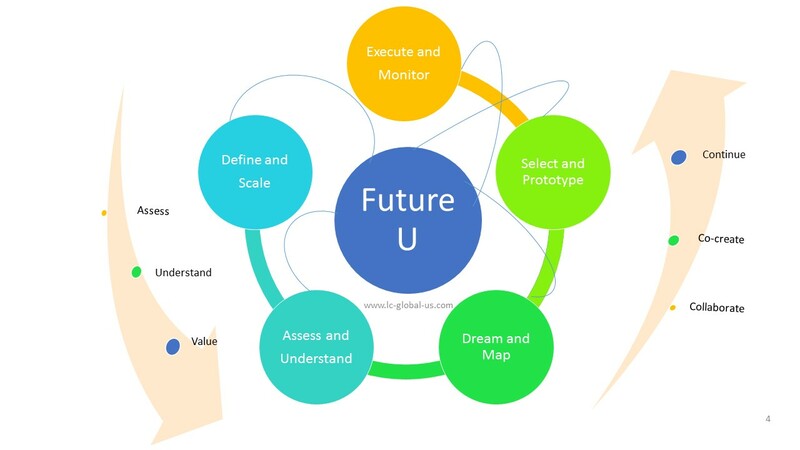 The "Future U " team excellence process is designed to bring about positive change, vision, and clarity for workgroups of all sizes or levels. The process helps your team identify their current and past strengths to co-create a future of deliberate team growth, vision, and strategy. LC GLOBAL PROVIDED TEAM EXCELLENCE COACHING FOR SENIOR LEADERSHIP TEAMS WITHIN OUR ORGANIZATION FOR AN EXTENDED PERIOD OF TIME. COOPERATION WITH LC GLOBAL MADE OUR WORK MORE EFFECTIVE AND IMPACTFUL! EVOTEC STARTED COLLABORATING WITH LC GLOBAL FOR THE DEVELOPMENT OF A TEAM COACHING PROCESS IN 2011. DUE TO THE SUCCESSFUL EXECUTION OF THIS POSITIVE AND APPRECIATIVE PROGRAM, WE WERE ABLE TO IDENTIFY NEW TALENTS FOR FUTURE LEADERSHIP POSITIONS. CURRENTLY, WE ARE PLANNING FURTHER TEAM EXCELLENCE PROGRAMS WITH LC GLOBAL.